Hope you will enjoy our current stock pages. The pictures and brief descriptions will give you a first impression of our classics. Please contact us for further detailed information and don’t hesitate to give us a call or e-mail with questions you might have. 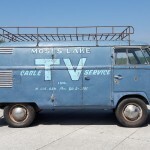 Is your dreambus not available for the moment? Let us know your wishlist and we will keep you informed when it might arrive at our premises. New arrival: T2a deluxe, 1968. 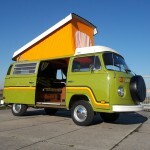 Very cool T2a deluxe, in a beautiful rare colour “Arizona Yellow”, one year only 1968. Continue reading..
T1 panel with old logos, mostly first paint and that after nearly 60 years is quite amazing. 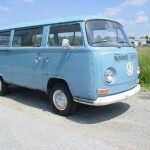 Continue reading..
Nicely restored at thecoolvw, this great T2b Berlin, 1979. 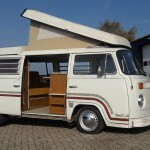 Continue reading..
New arrival: T2b Westfalia Berlin, 1977. 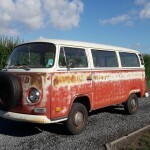 Very nice and clean Westfalia, unrestored and still in her original paint. 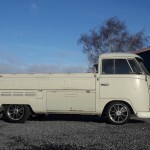 Continue reading..
Up 4 sale one of the last built…1967 single cab, great piece of machinery. 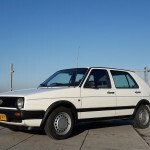 Continue reading..
New arrival: VW Golf 2 cl Manhattan, 1989. You know the story “Always stored inside and driven by on old chap”…in this case it’s just right. 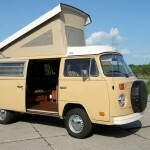 Continue reading..
New arrival: T1 EZ camper, 1962. Very cool T1 EZ, for sure she has the right attitude, mostly og paint. Continue reading.. 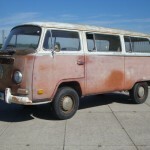 Pretty rare bus…T1 Sunroof 1964….with great features. Continue reading.. 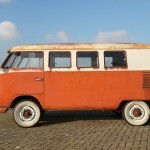 Smooth Original paint T2b Westfalia with a great attitude. 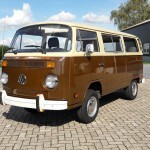 Continue reading..
T2b 1978 in beautiful Agate brown…original paint and never welded…doesn’t need any welding. 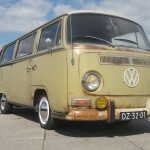 Continue reading..
Patina queen all the way….t2a/b deluxe in her original Paint, drives great and at the moment registered on Belgium O – plates. Continue reading..
Doesn’t runs…no brakes…..no lights working…needs to drain the tank…was some woolly animals house for some while….needs welding!!! Continue reading.. 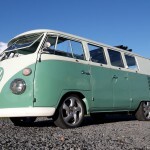 Cool T1 panel, great logo’s which gives her that special touch, a real headturner where ever you go. 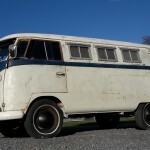 Continue reading..
We enjoyed this bus for many years but time has come to pass her to another enthusiast who will enjoy her as much as we have done. Continue reading.. 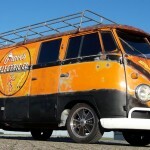 This bus has spent her life in CA, more specifically near Santa Cruz. The last years, she has been little used so should technically be checked over to be reliably. Continue reading.. Wanted: T1, T2, T3, all kind of models. 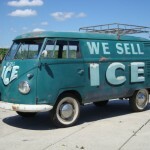 We are looking for solid vw busses built between 1950 and 1991. If you have something you would like to sell, please sent pics, price and description to our e-mail address or give us a call. Continue reading..